In stock for online shop 2 pcs. 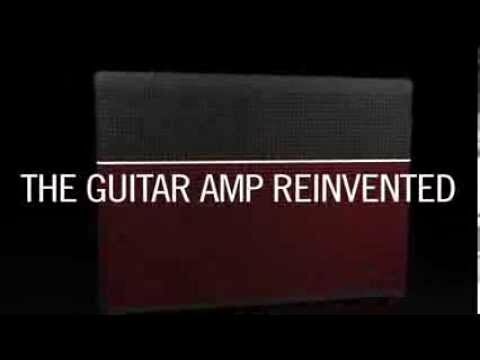 Modeling guitar combo from AMPLIFi series with output 150 W, with USB connection and transmission of audio over Bluetooth. It offers 5 speakers: 12" Celestion, two mid-frequency drivers, and two high-frequency drivers, that ensure powerful sound. It is operated with wireless technology and special iOS application (included), and is compatible with all foot switches from Line 6 FBV MkII series. Furthermore, it is equipped with 4 built-in presets (100 while using the FBV Shortboard MKII), built-in Stereo Wet/Dry effects, tap tempo function and tuner, 1/4" headphone input and guitar input, a 1/8" stereo aux input. The operating application is compatible with Android, iOS, Mac and PC. Size: 412.75 x 571.5 x 241 mm, weight: 16.2 kg. Do you own Line6 AMPLIFi 150 or have you had a chance to try it? Aktualizace firmware přes PC kabelem se nezdařila. Bylo nutné pužít mobil od Applu. Asi po 3/4 hodinové aktualizaci již kombo spolupracuje i se zařízením s Androidem. Ich finde ihn echt super, man kann alles damit machen und erspart sich damit viel Zeit und Geld.